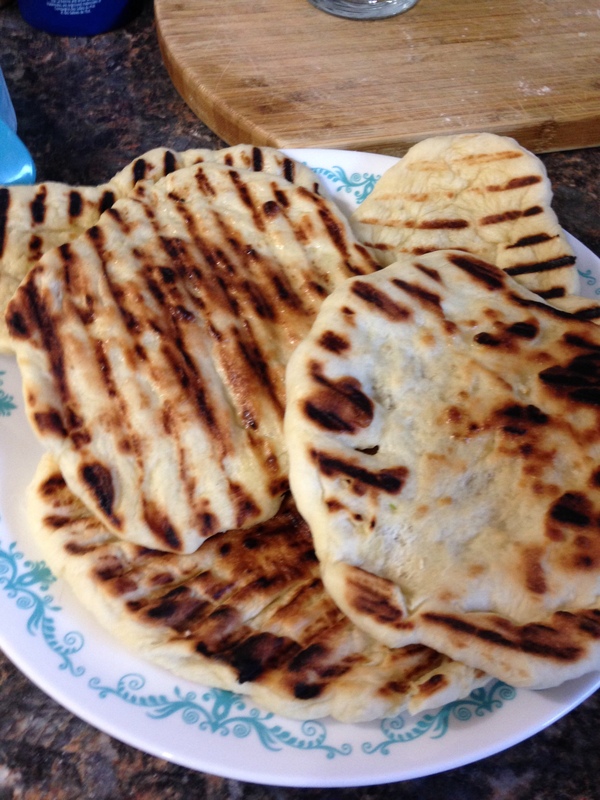 Have you ever tried making Naan Bread? There’s a great recipe on All Recipes. I’ve made it multiple times now and have even used it as a pizza crust. 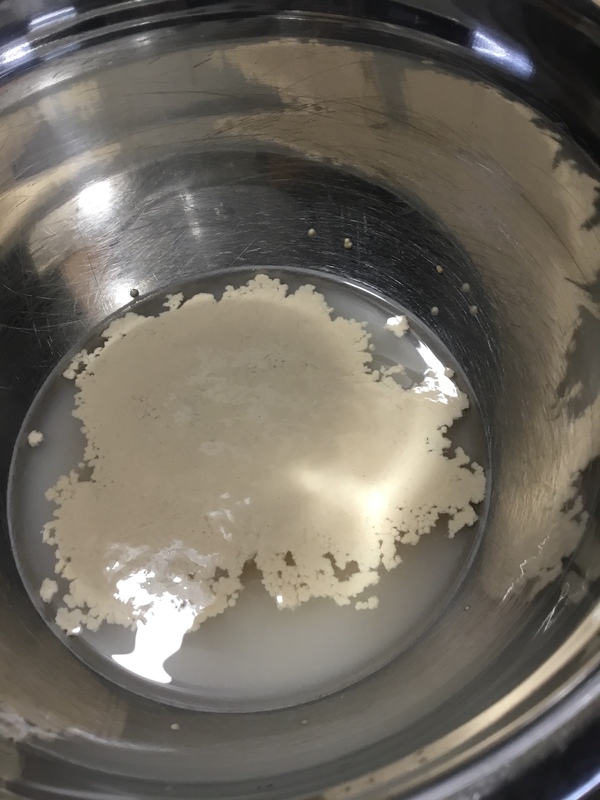 You start by proofing yeast. Next, you mix in the dry ingredients and knead. Then allow it to rise until double in size. This takes about an hour. While you are waiting you can chop up your garlic. I just popped mine in the fridge until I needed it. Once your dough has risen you flatten it and knead in your garlic. Break your dough into golf ball size balls and allow to rise for another half hour. I have a cast iron griddle that is flat on one side and is more of a grill on the other; find one like it here Cast Iron Griddle – Amazon. About half to two-thirds of the way through the second rise I pop my grill onto the two burners and start preheating. 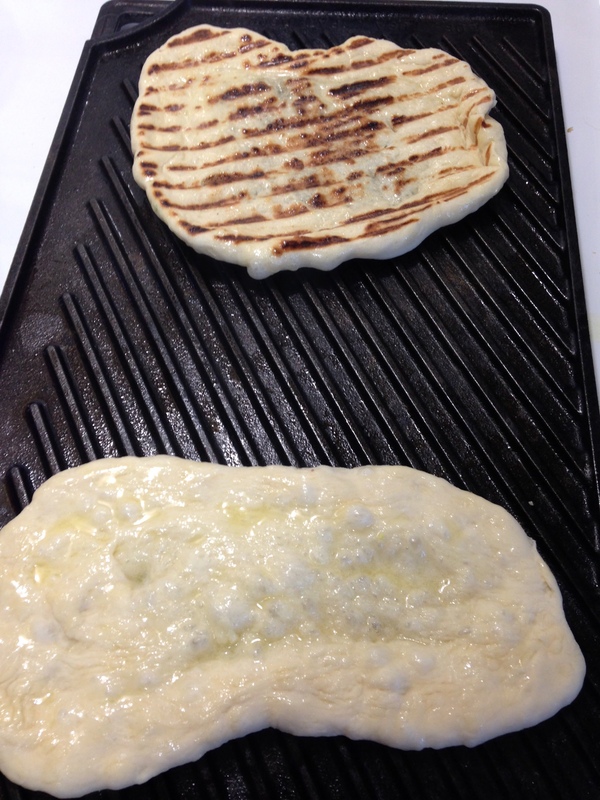 When the dough has finished the second rise, you shape it and pop it on the grill. Brush butter on the exposed side and let it cook a minute or two before flipping and brushing butter on the cooked side. Repeat until all of your dough balls are shaped and cooked. To make it into a pizza, I preheated my oven to around 350 F. I then topped it with a bit extra butter and garlic powder. Next, I sautéed some veggies in a bit of oil and added salt, pepper, cumin, curry powder and turmeric to taste. 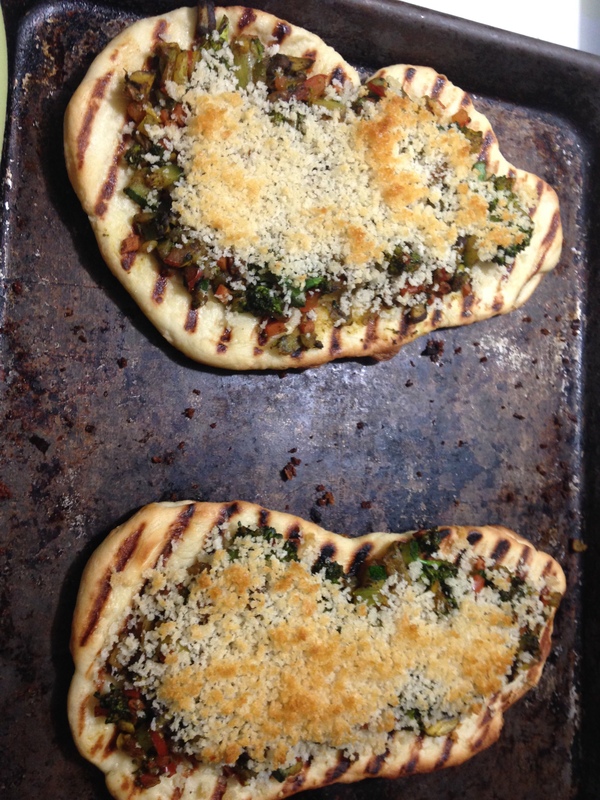 Once my veggies were tender and aromatic I spread them onto my naan. We follow a vegetarian/vegan diet most of the time so instead of using cheese on our pizzas we sometimes take panko bread crumbs mixed with a little olive oil and spread that on top. You could season your crumbs with herbs or garlic powder as well. Bake for 5-10 minutes until the breadcrumbs have browned. Keep a close eye on it, so they don’t burn. What toppings would you put on a naan pizza?